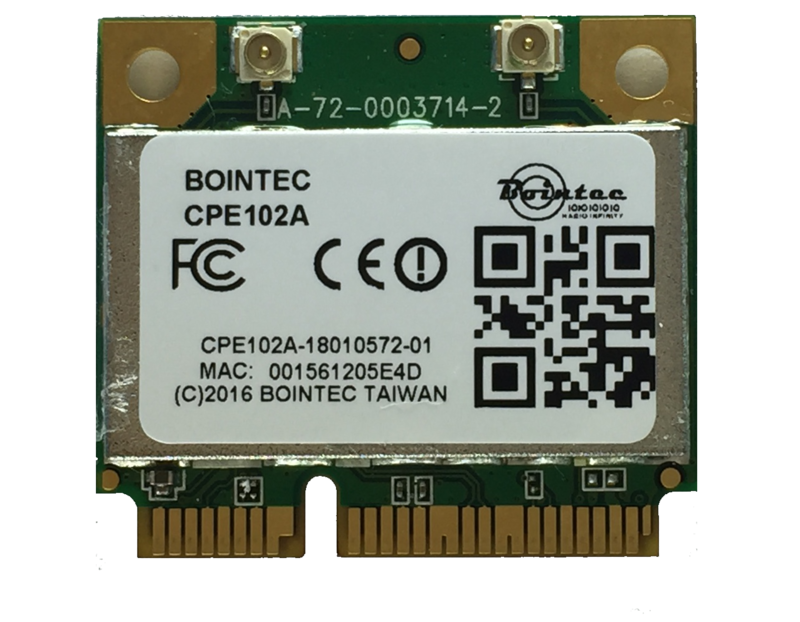 Bointec CPE104A is a WLAN module supporting IEEE 802.11 ac/abgn standard and industrial grade operating temperature range via the miniPCe half size card. 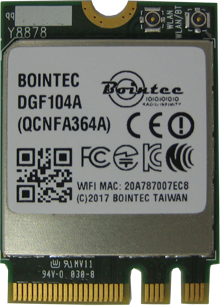 Bointec CPE104A is a highly integrated wireless local area network (WLAN) system-on-chip (SoC) for 2.4GHz and 5GHz applications. It enables high-performance 2x2 MIMO with two spatial streams for wireless demanding the highest robust link quality, maximum throughput and range such as Home Entertainment, Health Care, Monitor System or Industry and Enterprise applications. Thus, the CPE104A will be a perfect solution to meet these advanced conditions. CPE104A is truly an industrial-grade solution for the current wireless market with the powerful performance. Besides, it possesses 2X2 MIMO technology (2T2R). It can achieve the max throughput of 867Mbps based on its comprehensive modulation technique and supporting HT80. It is convenient for all users to use miniPCIe interface in order to assemble on customer's host board or custom boards. 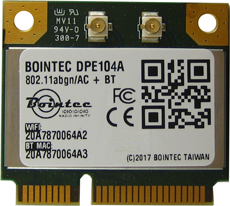 Based on the standard size module and robust setup scheme, CPE104A provides those advantages to enhance the value of our customer's target product.